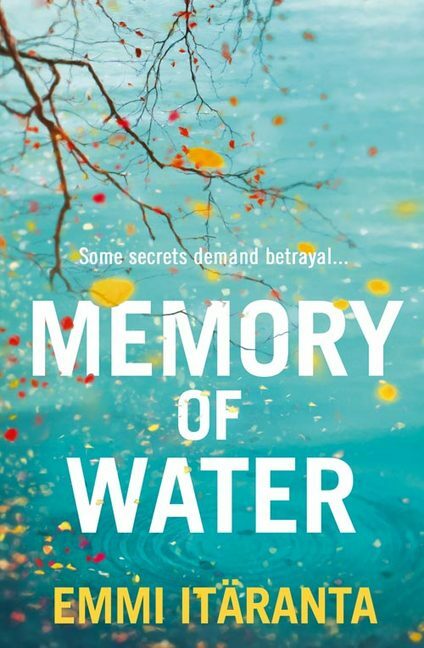 This entry was posted in Novels, Reviews and tagged Arthur C. Clarke Award 2015, Emmi Itäranta, Memory of Water. Bookmark the permalink. Interesting. Hoarding at times of shortage is generally seen as morally reprehensible. It often receives extremely harsh punishments, even death, and there isn’t usually much popular pushback against that as in a sense it’s a crime against the wider community. To make hoarders heroes is possible, but you do need a good reason for them to be hoarding. Watering the garden seems a bit doubtful if others are struggling to get enough to drink. I *think* the rationale behind it is that, if they disclose the water source to the authorities, then those authorities will confiscate it, without sharing any among the people. So, rather than that, they keep it to themselves. But it’s not very clear. The de facto position of the text is just that the “military” are bad, therefore we have to keep the water for ourselves. Or something. I read it as part of a project to read the entire Clarke shortlist this year, otherwise I probably wouldn’t have bothered. As to why it was nominated? I have no idea. I think it’s obviously of a qualitative level below the other 5 nominees. I mean, the premise is a good one, and the fact that its story occurs on the outside of something that’s much bigger, but that’s never described, is quite interesting. And, as I said, its attempt at something very stylised and quasi-philosophical is commendable. But otherwise… I just don’t get it. Thanks again for you kind comment. Much appreciated. Ugh. I have heard a number of very short and quiet comments about this one not being great, but now I really know why. Sounds far too problematic to bother with. Glad to get it off of my to-read list really. Did you read the entire nominee list then? What did you think about the ultimtae Clarke winner in comparison to the rest? Worthy? Not what you would have chosen? I read them all before the award except for the Michael Faber, which is a bagillion pages long, so I couldn’t fit it in. The difficulty with the Clarke award is that the shortlist is only announced, like, 3 weeks before the award is given, so it can be tough to read them all. I thought Station Eleven was fine. (my review is here: http://wp.me/pWuJh-Bd ), probably my second favourite of the shortlist. I would have liked Harry August to win, as I think that was the most successful at marrying its literary elements with its purely genre/science-fictional parts. Which, I think, is also where Station Eleven struggled the most. And yeah, Memory of Water is pretty problematic. I didn’t mention it in my review because it’s a sort of under-developed idea, but I wonder if part of the book’s problem is a kind of privilege blindness?….. Scarce access to clean water is a lived, real-world reality for millions of people RIGHT NOW, but apparently Science Fiction needs to create some unthinkable apocalypse in order to address/appreciate such a thing. But I’m not saying that SF can’t use abstraction to deal with real-world issues (which is, actually, where SF is most powerful IMHO – its potential for metaphor), but that’s very much *not* the vibe I got from this book. I dunno; this is kinda a sketchy rant on my part and, as I said, underdeveloped atm, but the idea that no access to water is a real world thing, but when imagining it happening in Europe, it’s suddenly an APOCALYPSE!! … it’s all a little troubling to me. Is it offensive? Or maybe just dismissive/erasure? Not sure. Needs more thought.